For some reason, gluten free breakfasts seem to be hard to come by. Until Geoff was diagnosed with celiac disease, I had no idea how many breakfast foods contain gluten! His go-to breakfast is a home blend of different gf cereals but even this got a little boring after a while. 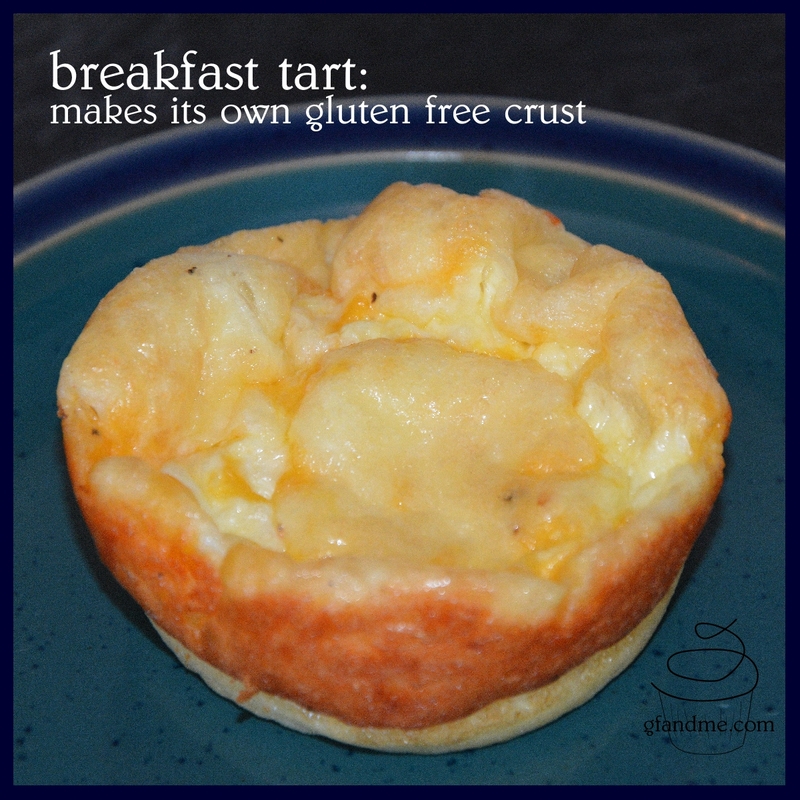 In an attempt to mix things up a bit, we came came up with this recipe for gluten free breakfast tarts. Kind of like a gf mini-quiche, they use gluten free pancake mix to help them puff up nice and fluffy and to create their own light, cake-like pastry crust. Good hot or cold, they are a bit of a lifesaver on busy mornings – just make extra the first day and pull them out of the fridge as needed! They are also incredibly versatile. By adding different fillings, you can continually create new savoury flavours!